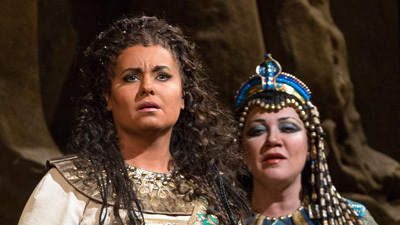 Soprano Latonia Moore makes a sensational Met debut as Aida, the Ethiopian princess enslaved at the rival court of Egypt. 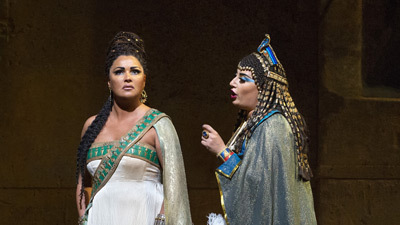 She loves the warrior Radamès (Marcello Giordani), who is promised to Amneris (Stephanie Blythe), the princess of Egypt. When Aida’s father, the Ethiopian king Amonasro (Lado Ataneli), convinces his daughter to trick Radamès into betraying his country, the love triangle turns tragic. 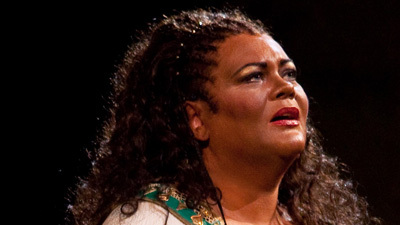 Marco Armiliato leads the Met’s vast musical forces in this grandest of grand operas.